Virtual CFO services are becoming more in-demand from scaling small businesses. Whether they seek expertise, and/or are struggling to hire an internal CFO that can help them fulfill their business goals, working with a virtual CFO is a great option that can help them acquire the strategic business advice they need. Thanks to cloud accounting technology, virtual CFO services are also becoming easier for accounting firms to offer. 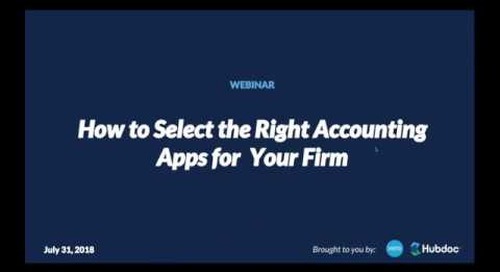 With increased time savings and real-time access to high-quality data, accounting firms that leverage cloud technology are well-positioned to step into this role for their clients. 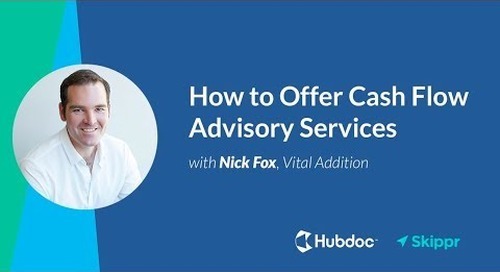 But adding a virtual CFO service offering – or any type of advisory service, for that matter – can be tricky. To gain a better understanding of the growing demand for virtual CFO services and how accounting firms can bridge the gap between “outsourced accountant” and “virtual CFO”, we chatted with David Emmerman, Partner at Emmerman, Boyle & Associates, a New York-based firm that offers a full suite of advisory services (including virtual CFO). 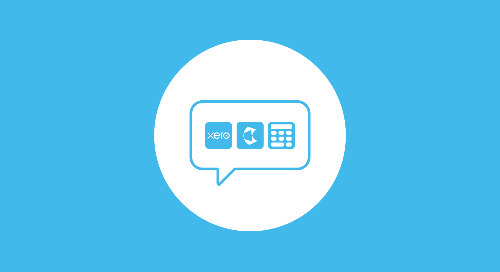 David is also a Xero Ambassador and was selected as one of Hubdoc’s Top 50 Cloud Accountants for 2018. 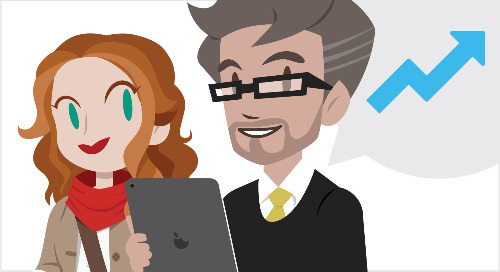 What is a virtual CFO and how is it different from an outsourced accountant? A CFO (Chief Financial Officer) is typically a senior executive who is responsible for the financial affairs of a company or organization. As it traditionally sits as a role, the CFO is a member of a business’ internal team who reports to the business owner, C-suite, and/or board, providing strategic financial information and analysis from which the business can benefit. A virtual CFO takes on similar responsibilities, but in an outsourced capacity (meaning that they are not a member of the business’ internal team). As such, it can sometimes be confusing to understand the function of an outsourced accountant as it compares to that of a virtual CFO. Since accounting firms already provide outsourced accounting services to clients – bookkeeping, preparing monthly financials, and so on – they’re often in a good position to expand their service offerings to include virtual CFO services. Accounting practices that are interested in adding more complex advisory services ought to make an effort to identify where any skill gaps lie within their firm and look to fill them accordingly (whether that’s investing in internal skill development or hiring experienced talent). What are the benefits of virtual CFO services for firms and businesses? The benefits of providing any type of advisory services are substantial for accounting firms. In addition to opening up new revenue streams, they may also help build customer loyalty (and often increase client referrals) simply because they’re so valuable to small businesses. Although many small businesses already understand the benefits of working with an expert to provide strategic advice, much of the value provided by a virtual CFO comes from the fact that they’re virtual – i.e., there’s a healthy degree of separation. Having tough conversations is part of being a virtual CFO – and part of the value provided to small businesses. “Often, virtual CFO meetings have nothing to do with the financials. We use virtual CFO as a lever to other conversations that business owners might not ever explore, and talk about the challenges that business owners don’t necessarily push themselves into,” David explains. 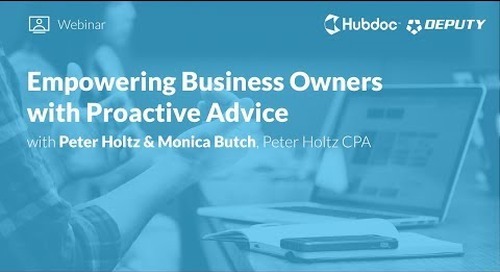 When it comes to pushing small business clients out of their comfort zone, business owners who work with a virtual CFO will also experience the benefits of having an accountability partner, which makes it easier to navigate unfamiliar business terrain. How can a firm start offering virtual CFO services? If you’ve determined that your firm has the skills required to offer virtual CFO services, and your clients have expressed interest, there are a few more items to have in place before you add this to your service menu. Perhaps the most important element of providing any type of complex advisory services (including virtual CFO services) is having clean, accurate data. 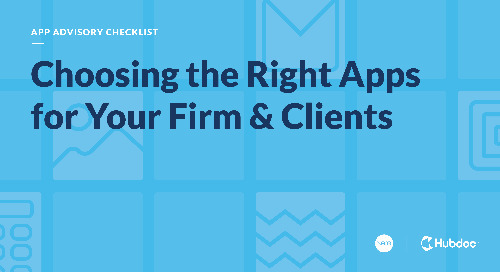 If a new client approaches your firm requesting these types of services, ensure you’re able to efficiently clean up their data and get it to a place where you can make recommendations with confidence – after all, poor quality data in = poor quality advice out. Old and out-of-date data can be just as harmful as poor quality data. As such, it’s also important to ensure you’re getting high-quality data in near real-time, so the insights you deliver are timely, relevant, and accurate. Implementing an efficient month-end process (i.e., being able to close the books in less than five days) will help to ensure that quality data is collected in a timely manner. Map out your workflow to discover inefficiencies and find ways to implement technology that will help achieve this in a shorter time frame. Part of what makes a virtual CFO so valuable (even more so than an internal CFO) is their learnings and experience working with similar businesses. Specializing or “niching down” is a valuable practice, especially for firms that wish to truly evolve and focus on advisory. 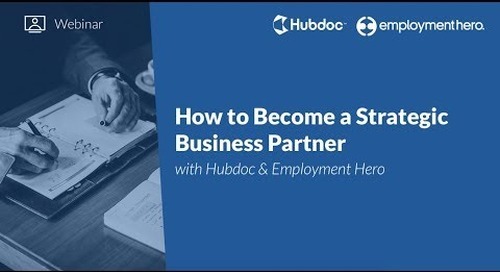 Choosing an industry, vertical, or type of business to work with (ideally one that you’re passionate about), learning and understanding benchmarks and best practices within that vertical, and continuing to educate yourself about the common issues businesses face within that niche will help you become an irreplaceable business partner. Virtual CFO services are a great way to offer additional value to your small business clients and future-proof your firm. However, providing these services requires careful planning, high-quality data, and of course, expertise. 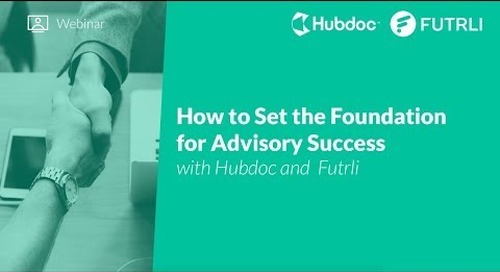 Invest time and resources into setting up your practice for advisory success and you’ll be well on your way down the road to advisory! 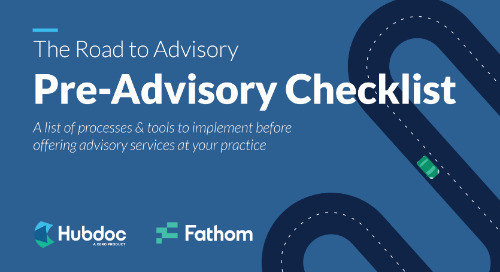 Learn more about the processes and tools to implement before offering advisory services at your practice – download our free Pre-Advisory Checklist!